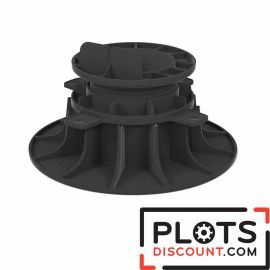 Plots-discount.com offers a variety of terrace pedestals for slabs and joists and accessories for a perfect finish. 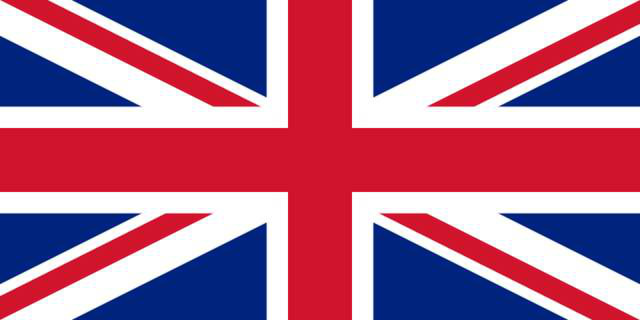 Discover the different French quality products at very low prices. Very resistant, all our products meet current norms and are conform with DTU 43.1. If you wan to design a wooden deck, the decking pedestals will be ideal for you. Quick and easy to use, this technique will gives you the opportunity to create your dream terrace. You just have to put the pedestals on the ground, then fix the joists on them thanks to their flaps present on each side of the pedestal’s head. Do not use composite joists but wood or metal ones. use only one to enhance an adjustable pedestal. This Jouplast pedestal can be adjusted from 20 to 30 mm depending on the desired height. has a 200 mm diameter flask which is multi-perforated to eliminate water retention. it will become adaptable, you can choose later to enlarge or enhanced it. 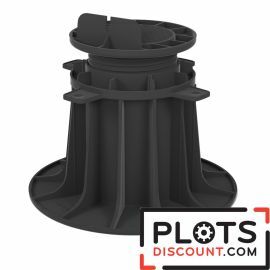 These pedestals are adjustable from 80 to 140 mm which will help you to install your deck. You can choose the height by setting the pedestals to the nearest millimeter. pedestal you can design a robust and quality terrace. Do you wan a patio in tile, ceramic or stone ? However, you don’t want to spent countless hours to make a terrace. 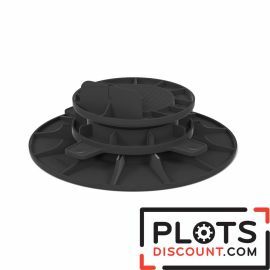 Plots-discount.com offers a quick and economical solution with its slab support pedestals. After preparing your floor, simply put the tiles on the previously positioned pedestals. The heavy tiles will weight the pedestals, which guarantee a stable and strong terrace. Moreover, thanks to their millimeter adjustment system you can choose the height of your terrace. 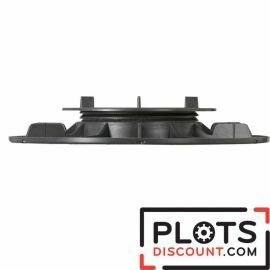 On plots-discount.com we guarantee resistant pedestals and conform with DTU 43.1 norms. can get a smooth head. Resistant to bad weather and heavy loads, these pedestals are perfect for a design and modern patio. place a pedestal in the middle of the slabs by removing the 4 spacers present on the support head. pleasing and very resistant terrace. Specifically designed for terrace in slab, tile, ceramic or stone, these pedestals are adjustable from 140 to 230 mm. 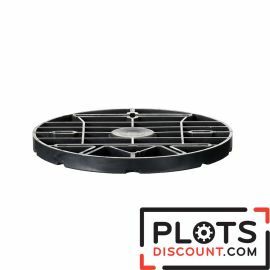 On plots-discount.com, find our range of accessories that will facilitate the implementation of your patio and you will get a perfect finish. Discover our foam wedge for slab support pedestals and our gum wedge at discount prices. Diameter of 104 mm and thickness of 4 mm, with these Jouplas acoustic dampers you can protect your pedestals and avoid all resonances. also compensate thickness differences of the slabs.